Louis CK’s former manager Dave Becky apologizes for ignoring sexual misconduct. 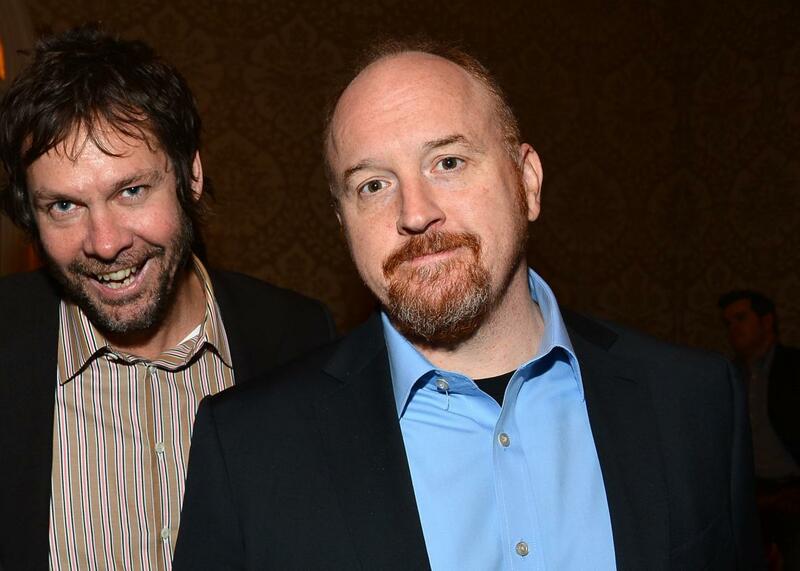 Dave Becky, left, with Louis C.K. On Friday, Louis C.K.’s manager, Dave Becky, announced he had severed his connection with the comedian in the wake of a New York Times article detailing several instances of sexual misconduct that C.K. has since admitted in a statement were “true.” But as Slate’s Christina Cauterucci noted, one thing missing from C.K.’s statement, in addition to the word “sorry,” was an acknowledgment of how C.K. had worked to discredit his accusers over the years, right up until the point their words were printed in the New York Times. Instrumental in that effort, according to the Times article, was Becky, who “arguably wields even more power in comedy than Louis C.K.” and still represents figures like Kevin Hart, Aziz Ansari, and Amy Poehler. And so Becky has issued a statement of his own, which among other things seems targeted to address the criticisms made of C.K.’s.